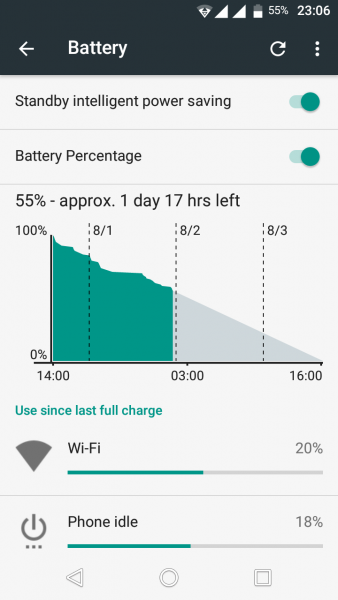 After one week with Wiko Robby, it’s time for an updated report. Yes, living with 1 GB of RAM is perfectly acceptable once you’re not a gamer. Yet, there are a few caveats. First of all, there is–after all–a certain delay when returning from some apps to the home screen. This is even more noticeable when I’m using Nova Launcher instead of My Launcher. As a matter of fact, there is a rather strange thing happening when using a different launcher than the default one. But there’s more. Sometimes, Nova shows up in the Recent App List (the 3rd button, which used to be Menu even on my Huawei, but now it’s called either Recents or Overview), which means it’s killable just like any other app, which shouldn’t have been the case. When this happens, you can be sure that when you’ll exit from certain apps, My Launcher will pop up first. I guess I’ll go back to the default launcher. 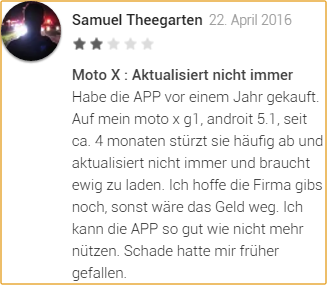 What bothers me the most with these EmotionUI/MIUI-launcher is the 4-row layout, not the “all apps are on the screens.” I normally group apps thematically in folders on several screens and only occasionally use the AppDrawer; and Wiko adds a nice My Apps list that scrolls vertically and is grouped by letters–à la Windows Phone. The second problem is that, as previously mentioned, TeslaUnread is unable to show the unread count in Nova Launcher, no matter what permissions I granted and how much I whitelisted both apps. Not on this device (because it seems to work on other Marshmallow devices.) One more reason to drop Nova. The third problem is a more severe one: many weather widgets simply don’t update. 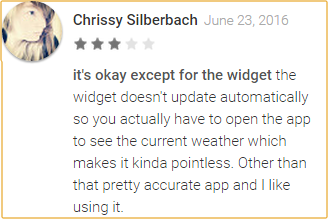 I always set the update interval as low as possible, preferably to 15 minutes, but for many weather widgets (not the included one, which uses AccuWeather), the update only happens irregularly, despite having the Wi-Fi always on and the apps whitelisted to run in the background. It worked well under Android 4.2.1 though, and the app is updated regularly by its developers. I don’t get it. MeteoGroup’s WeatherPro (currently at 0.10 €, but Premium features are IAP) and probably WeatherPro Free (much more limited in widgets) work fine most of the time, which means they still fail to automatically update every now and then, but I remember I sometimes had this issue even under 4.2.1. 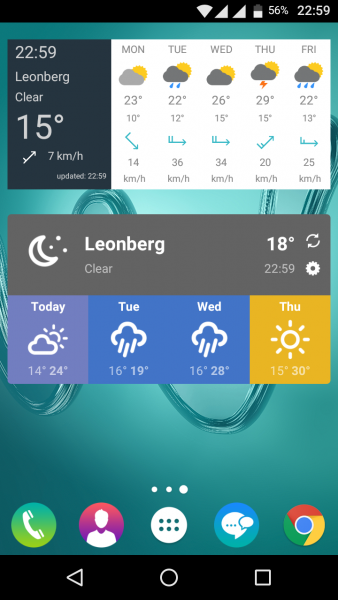 What are the factors that could affect such widgets? 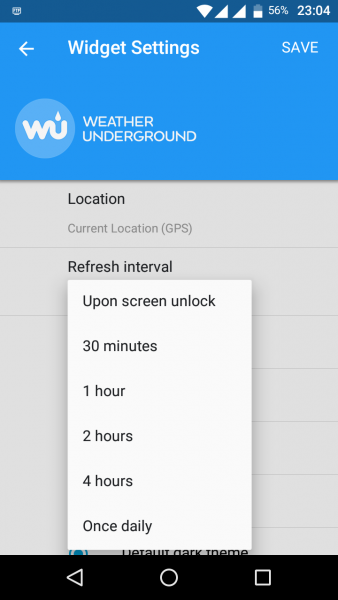 I’d list here the multitude of settings related to both power saving and permissions–and Wiko adds to Marshmallow’s own settings! I’m a bit puzzled right now. 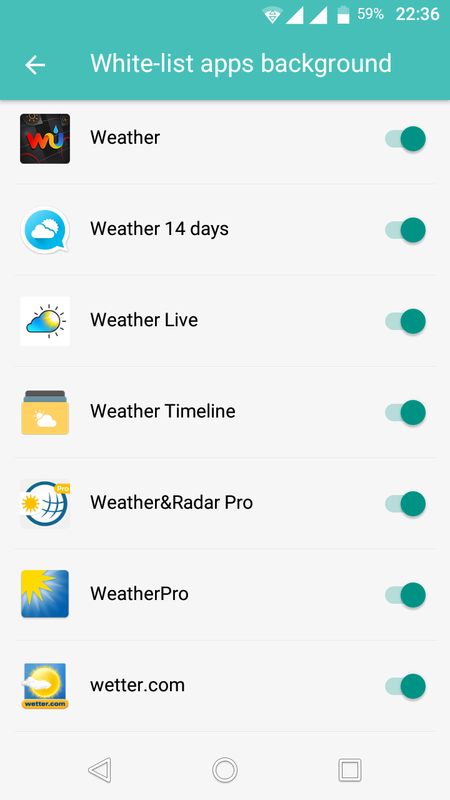 I’ll have to get rid of Nova Launcher, and I’ll also need to choose 2-3 weather apps (out of a dozen!) 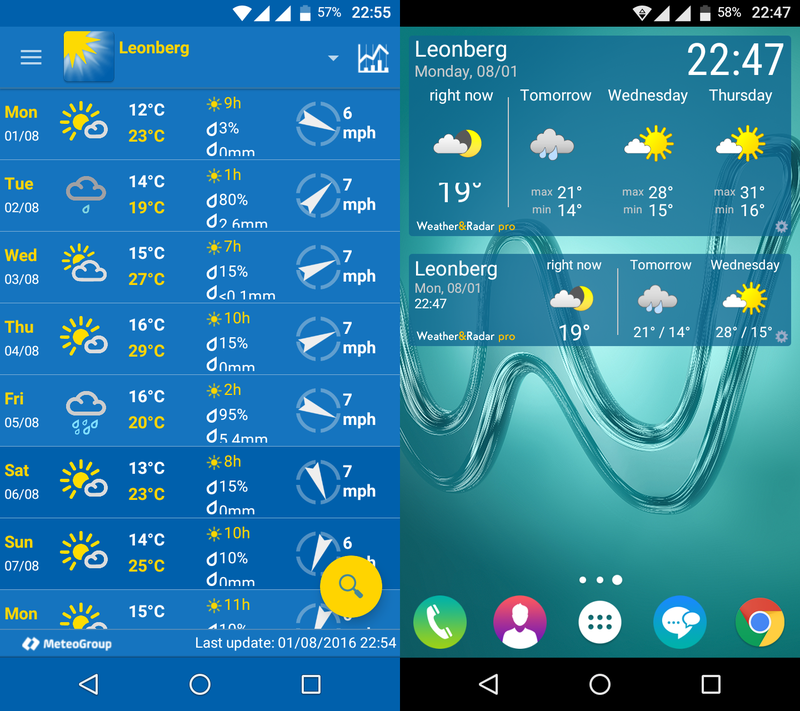 for which at least one widget I like works well–but more on weather apps, in the next blog post, dedicated to their (lack of) accuracy. LATE EDIT: The weather widgets that don’t automatically update is an extremely annoying issue, and it must have something in common with the way this specific build of Android tries to maximize the battery lifetime, regardless of the exceptions I set–which only seem to whitelist the apps, but not their widgets! 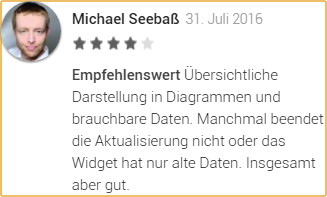 Is there a more widespread issue with widgets failing to update in some builds of Android 5.1 or 6? What is this, Windows Phone gone mad? I didn’t encounter the problems that you describe with Nova Launcher (Prime) and I’ve used it religiously for more than 9 months (the Idol 3 has 1.5 Gb of RAM, though). Maybe it conflicts with your phone’s factory software. 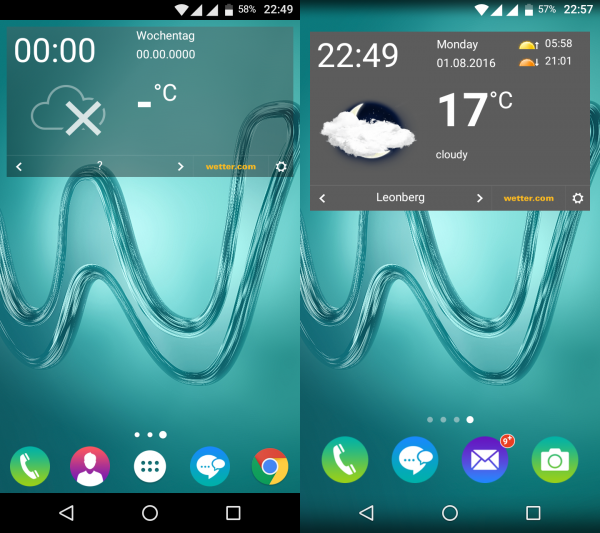 As for weather info, I use Weather Timeline which shows just a minimalist temperature in the top left corner. You’re not running Marshmallow. 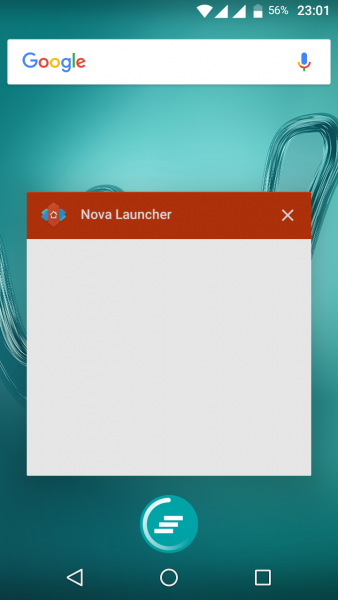 I’ve also used Nova for ages, but with 4.2.1. This firmware tends to unload Nova even when more than 260 MB of RAM are free. 1. 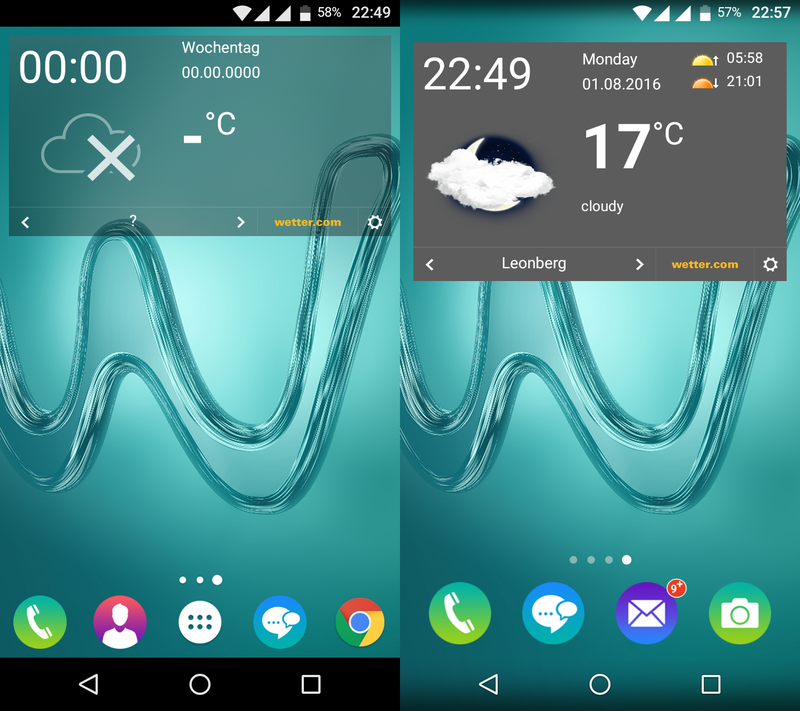 OK, and Alcatel’s home launcher isn’t heavily modified. Although… Nova worked well as a replacement for Huawei’s EmotionUI. In an older Android version though. 2. What data source for Weather Timeline? It can use Forecast.io (totally bogus! ), Weather Underground (possibly the most reliable of all five), YR.no (forecast-based), OpenWeatherMap, World Weather Online (acceptable). 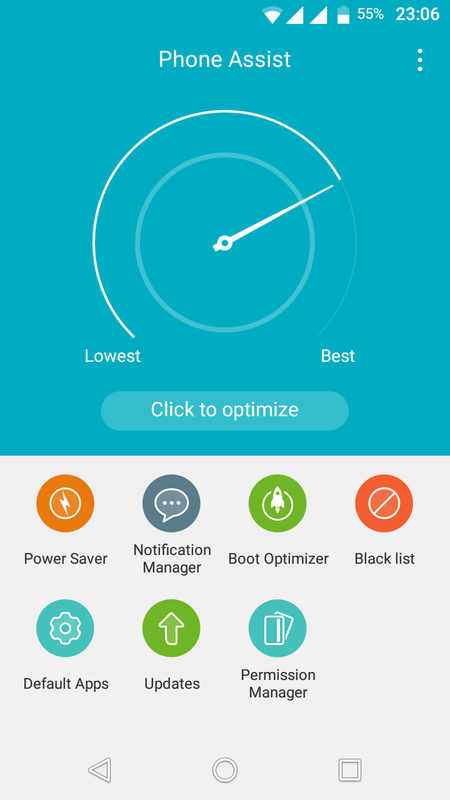 So what, Marshmallow should have better RAM management than Lollipop. Who knows what is their understanding of “better memory management”? Maybe it’s “let’s keep out of RAM as much as possible from what’s irrelevant.” But what is “irrelevant”? Also, Marshmallow is very much into “let’s save the battery.” This tends to create most of the problems. Blah, I don’t care much about the technical details but I’d hate to see Nova Launcher every time I open the Overview screen. « Marshmallow with 1 GB of RAM—Yes, You Can!